The Salon Classics book group meets to discuss their November selection, Dead Souls by Nikolai Gogol. Salon Classics book group will meet to discuss their November selection, Dead Souls by Nikolai Gogol. 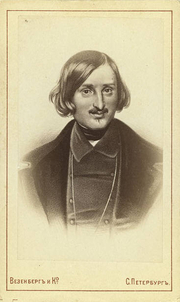 Nikolai Gogol is currently considered a "single author." If one or more works are by a distinct, homonymous authors, go ahead and split the author. Nikolai Gogol is composed of 142 names. You can examine and separate out names.